Severe acute respiratory syndrome (SARS) is a very serious form of pneumonia, which is caused by a virus that was just recently discovered in 2003. 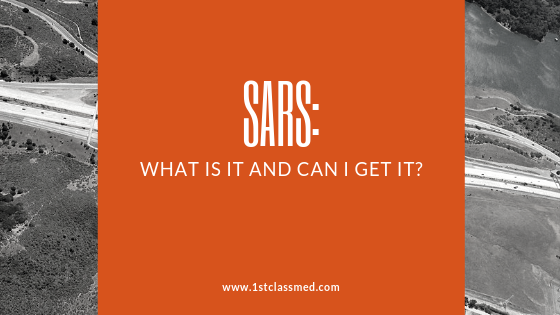 SARS is caused by the coronavirus, called SARS-associated coronavirus (SARS-CoV), which was first found in Asia and quickly spread to over two dozen countries. An infection along with the SARS virus can lead to acute respiratory distress (symptoms of severe breathing difficulties and chest pains) as well as possible death. SARS virus has not a had any reported cases since 2003, but it is on the CDC’s list of select agents, which means it has the potential to pose a severe threat to public health. Severe acute respiratory syndrome displays symptoms that can mimic the common cold and flu, as well are more respiratory symptoms. Symptoms often occur two to ten days after being in contact with an infected individual, and if the symptoms are noticeable, the individual is still contagious. If SARS continues into two or more weeks, lung symptoms can become worse even if other symptoms are started to stop. Some of these symptoms do not occur right away, nor do they occur in every patient who has had SARS. As SARS is caused by the coronavirus, which is also in the same family as the virus that causes the common cold. The SARS epidemic in 2003 was believed to have come from small mammals in China. SARS is spread through close contact with someone that is sick with severe acute respiratory syndrome. The virus that causes SARS is believed to be transmitted by respiratory droplets, which are produced during a cough or sneeze. Respiratory droplets can spread when an infected individual coughs or sneezes, launching the droplets up to three feet into the air. These droplets can land on another individual and if they make contact with the mouth, nose or eyes, it can cause the uninfected person to contract SARS. The virus can also spread if the respiratory droplets are coughed or sneezed onto a surface or object that is then touched by an uninfected person. From there, the individual can touch their mouth, nose or eyes and contract SARS. The SARS virus can live on hands, tissue and other surfaces for up to six hours and the droplets can last up for three hours even after they have dried. If the temperature is low, it is possible for the virus to live on a surface for months or years. It is possible that the SARS virus can also be spread through the air, but as it was contained very quickly, scientists were unable to study how it is spread. Close contact for SARS can include kissing, hugging, sharing drinks or eating utensils, talking within three feet, and direct physical contact. If you walk by someone who is sick or sit near a sick individual in the doctor’s office, you are not considered in “close contact” with them. There is also a risk with reinfection, as it is common among many other coronaviruses to lead to reinfection. For anyone that believes they have SARS, it is important to go to the doctor or hospital right away. Once you arrive, they may keep you in isolation in order to prevent any spreading of the virus. 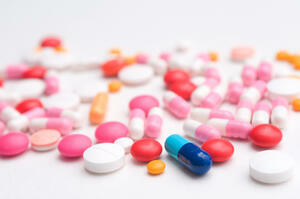 Antibiotics are used to treat bacteria, which can lead to pneumonia if it is not treated in time. Antiviral medications can also be used to treat SARS, but it is still unknown how effective they are in treating SARS. High dosage of steroids can help reduce swelling in the lungs (for many conditions and illnesses) but it is not known if they work well for SARS. If breathing becomes difficult, supplemental oxygen may be used to help maintain healthy oxygen levels. In an extremely serious case, the liquid part of the blood (from those who recovered from SARS) is given to those fighting the illness. There is no conclusive evidence that SARS is treated successfully by any of the above treatment methods, as there are minimal numbers of reported SARS cases. In order to prevent a SARS infection, it is best to reduce contact with anyone who is sick with SARS. As there is no longer an outbreak, you may not need to be on high alert, but it is important to still keep an eye out when traveling. If you do know someone who has SARS, it is best to stay away from them for at least 10 days after their fever has broken. Other good prevention methods include washing your hands regularly or using hand sanitizer, covering your mouth and nose when sneezing or coughing, not sharing any food or drink utensils and using EPA-approved cleaner on commonly touched surfaces. When the outbreak occurred, the death rate was roughly 9% to 12% of all those diagnosed, while those over the age of 65 had a higher death rate, over 50%. In those younger, the illness was more mild compared to those who were older. For those who were older, their health declined enough that they require assistance breathing, and many ended up in the ICU at their local hospital. Public health policy has been helpful in controlling any outbreaks that may occur in every country. It is important for countries to maintain these policies in order to prevent the disease from spreading again. Many viruses (of the coronavirus family) are known for their ability to mutate and spread among humans. Originally from China in 2003, SARS was put under control quickly, which helped limit how much it spread. Though SARS is not a very active virus, it is possible that it can reappear at any time. By understanding the unique symptoms of SARS, you may be able to get to the doctor before it spreads to others. If you have traveling to another country and suspect you may be infected with SARS, contact your doctor right away to determine if you are infected.